Du Bois and his students inked and watercolored some 60 charts for display at the 1900 World’s Fair. Meanwhile, on the dating scene, “What’s your type?” is the new “What’s your sign?” But singles aren’t the only ones clamoring for a “people-sorting device.” As Merve Emre ’07 points out in The Personality Brokers (Doubleday, $27.95), schools, employers, and even hospitals and churches use the Myers-Briggs Type Indicator to scry human behavior. Emre offers a sweeping account of the personality testing phenomenon, from its creation by Katherine Myers, an ardent devotee of Carl Jung, and her daughter Isabel Briggs, a housewife and murder-mystery writer; to its deployment in the Cold War; to its current status as a $2-billion-dollar industry. A Carnival of Losses: Notes Nearing Ninety (Houghton Mifflin Harcourt, $25), the last book by the late Donald Hall ’51, JF ’57, has the air of a rambly chat after a long meal. As the former U.S. poet laureate puts it: “Why should the nonagenarian hold anything back?” Much of the collection sweeps up stray anecdotes from a life in letters; other essays face mortality, relaying what it’s like to lose his hearing (gradually) and his teeth (several times daily). The centerpiece is a remembrance of his wife, the poet Jane Kenyon, observing that “Poetry begins with elegy, in extremity, as Gilgamesh laments the death of his companion Enkidu, watching worms crawl out of Enkidu’s neck.” And just as verse miraculously does, this book finds grace. Hollywood Math and Aftermath (Bloomsbury Academic, $116.99) is a wonkish tour of the recent history of showbiz. “Money is Hollywood’s great theme—but money laundered into something else, something more,” argues J.D. Connor ’92, an associate professor in the division of cinema and media studies at the University of Southern California. Close-reading the films and the industries that created them, he shows how the financial crisis shocked moviemaking in the Obama era, and why it’s central to understanding work as various as The Incredible Hulk and Upstream Color. Most know W.E.B. Du Bois, A.B. 1890, Ph.D. ’95, through his writing; now comes a chance to page through his eye-popping infographics. 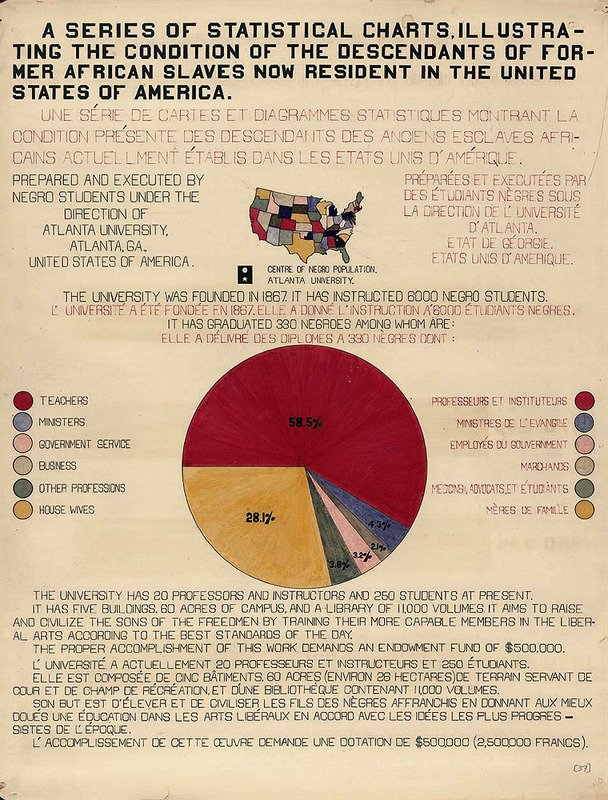 For an exhibition in Paris in 1900, Du Bois and his students at Atlanta University hand-drew charts that inventively displayed migration patterns, property ownership, and other facets of African-American life. W.E.B. Du Bois’s Data Portraits: Visualizing Black America (Princeton Architectural Press, $29.95), edited by Whitney Battle-Baptiste and Britt Rusert, collects them in full color. For some light back-to-school reading, two thrillers dripping Crimson. Paul Collins’s Blood and Ivy (W.W. Norton, $26.95) is true crime told like a novel, about an 1849 murder at Harvard Medical School. The Ancient Nine (St. Martin’s Press, $27.99), is a novel prefaced, coyly, by author Ian Smith ’91: “Based on real events.” It follows an undergraduate from Chicago’s South Side through the harrowing pledge process for the Delphic Club.